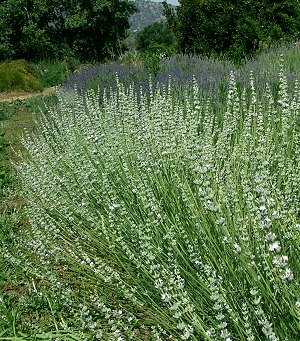 Edelweiss Lavender is one of two of our white flowering lavenders. It has greener leaves than our White Grosso and grows wider. Flower buds appear light pink before opening to reveal a pure white flower. It looks great blooming against other purple lavenders like Abriali. The intensely fragrant flowering stems can be harvested for fresh crafts like wreath making. 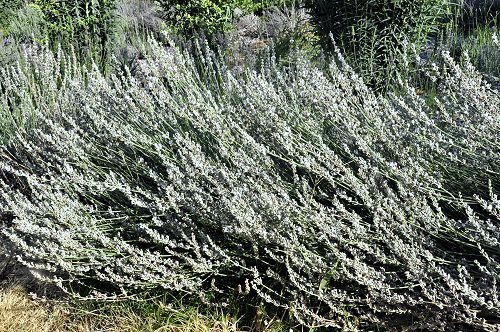 Edelweiss Lavender makes a great addition to our Zone 5-11 Fragrant Herb Garden Six Pack. 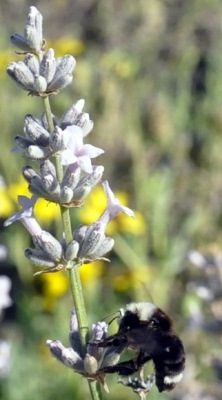 Lavenders are great bee and beneficial insect plants. These are ultra important for pollination of fruits and vegetables and for maintaining garden health. This plant is often available in plug trays. These trays hold 128 of all the same plant. They are a great low cost way to fill a lot of space. Each cell is 3/4 of inch by an inch. Check here to see if Edelweiss Lavender Plug Trays are available.